Composite fillings are a mixture of acrylic resin and finely ground glasslike particles that produce a tooth-colored restoration. 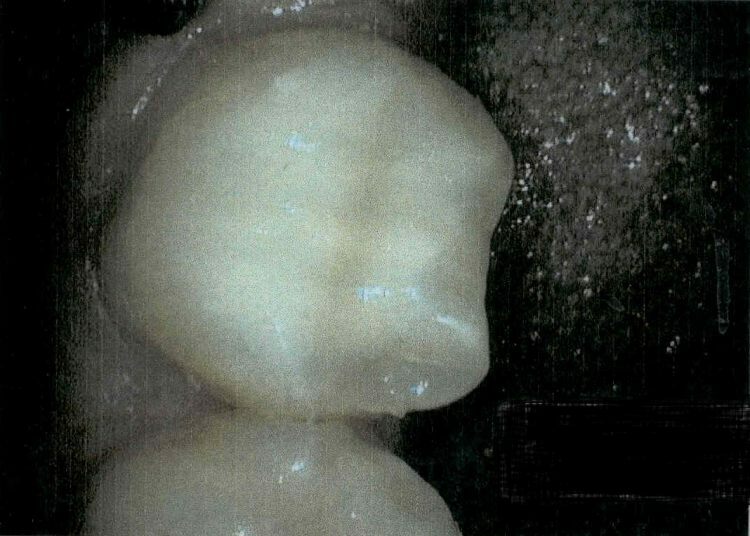 Composite fillings provide good durability and resistance to fracture in small-to-mid size restorations that need to withstand moderate chewing pressure. 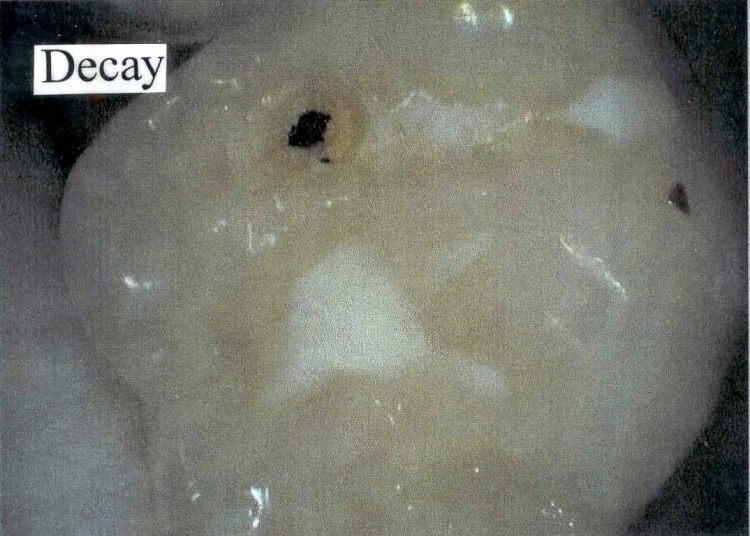 Composites can also be "bonded" or adhesively held in a cavity, often allowing the dentist to make a more conservative repair to the tooth. 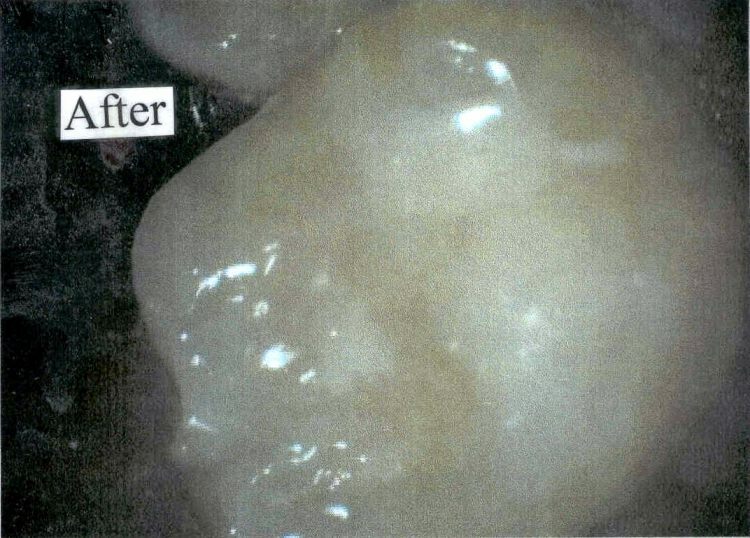 In teeth where chewing loads are high, composite fillings are moderately resistant to wear, but less so than amalgam fillings. Composite fillings require a cavity that can be kept clean and dry during filling and they are subject to stain and discoloration over time. For answers to common questions on cavities or tooth decay please refer to our FAQs. 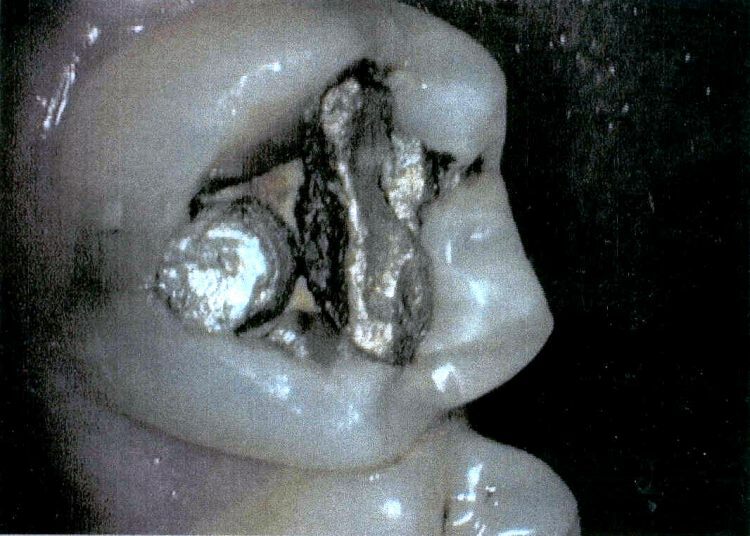 Here's a comparison photo of a composite vs. an amalgam filling. Broken down filling with decay underneath. This decay got quite close to the nerve. We barely avoided a root canal! Another BEAUTIFUL filling. And the root canal was NOT needed!